The “Modern Family” star shared details about her over-the-top celebration on her Instagram. The fete featured gorgeous fall floral décor that covered her lavish dining room, place settings featured sparkly placemats and cute acorn and pumpkin name tags. There was even a cute festive cake adorned with a turkey ornament. Other goodies included a pie, another cake adorned with pumpkins, cookies, bars, fudge and more! Sofia served guests eggnog in copper pumpkin cups from a gorgeous bar. No detail was missed, her little doggie even had a festive fall outfit! 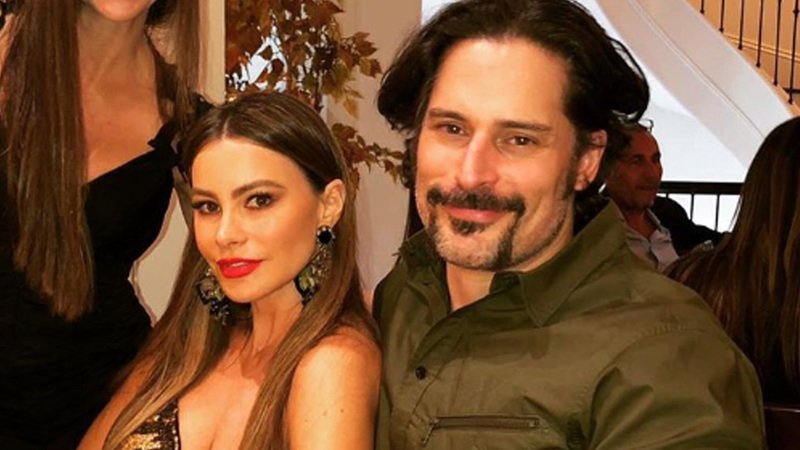 Sofia and her hubby Joe Manganiello looked super in love at the celebration. Thanksgiving also marked another exciting milestone for the couple – their third wedding anniversary! The actress shared a loved-up snap of the couple hugging each other. “Happy aniversary love of my life!!!!! !” she wrote. Joe also posted a tribute to his wife, sharing a photo of them dancing at their wedding. “Thankful that three years ago I made the best decision of my life,” he gushed. Seems like the couple is super happy!